Some dads take their boys fishing, some throw around a ball. Stephen King and his son imagine a plague that knocks out half of Earth’s population. That’s essentially the plot of Sleeping Beauties, the first novel co-written by the horror-meister Stephen King and his younger son, Owen King. Together they’ve radically transfigured the Brothers Grimm tale into a violent story of our modern age. Sleeping Beauties takes place in the little Appalachian town of Dooling, West Virginia, which for no apparent reason becomes ground zero of a worldwide gyno-epidemic, known as the Aurora Flu: The moment any woman falls asleep, she’s immediately covered in a sticky white cocoon, like a full-body cotton-candy wrap. What’s worse, terrified family members who break open these cocoons find that their mothers, sisters and daughters have transformed into bloodthirsty killers. “It’s, like, the ultimate P-M-S,” one yahoo says. Naturally, this leads to a spike in sales of Red Bull, coffee and speed, as women everywhere struggle desperately to stay awake – a struggle that readers of this novel may sympathize with. Our hero – male, naturally – is Dr. Clint Norcross, the prison psychiatrist. He is “the Man,” in case you were wondering, “the one who stands for all mankind.” He’s such a sharp observer of human nature that he notices something different about Evie, a new inmate arrested for murder just as the epidemic begins. Maybe it’s Evie’s green pubic hair or the moths that fly out of her mouth. Maybe it’s her ability to read minds or control a pack of rats. But whatever the reason, he suspects that Evie is at the center of the magical pandemic that’s shipping all the womenfolk off to the Land of Nod. The story is flecked with the gossamer wings of fairy tales that fall awkwardly in this contemporary setting. More than 70 characters rage and snore through these pages. They’re all listed at the front of the book, a feature that has the unintentional effect of making the cast feel even more bewildering. The last character listed is “A Common Fox, between 4 and 6 years of age.” The Kings don’t mention it here – perhaps it goes without saying – but this is a talking fox, a fox with a well-developed sense of propriety. “High among the fox’s catalog of personal statutes,” the Kings write, “was Thou Shalt Not Cross the Road in Daylight.” There’s a talking tiger, too, and even one of the dead rats is a fairly good conversationalist, or at least better than Henry Kissinger, but that’s setting the bar pretty low. These loquacious animals, along with a peacock, a snake and God knows what else, have something to do with the supernatural “Mother Tree” that serves as a portal between our violent world and a peaceful parallel world where the spirits of the cocooned women collect. The spookiest aspect of this novel may be that somewhere there’s an obsessive King fan – a la Kathy Bates in “Misery” – struggling to figure out what all these symbols mean. Watch how you drive by her house. ... She’s got to be feeling pretty frustrated. 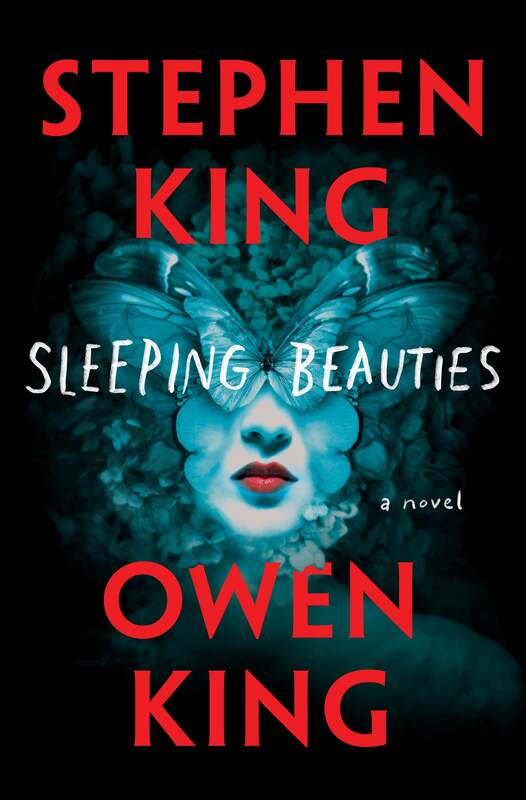 Stephen King, the author of more than 50 best-selling novels, and Owen, whose debut novel, Double Feature appeared in 2013, can be wonderful writers, but this yawning collaboration doesn’t bring out the best in either of them. The pacing in the first 300 pages is deadly – and not in a good way. Our attention is repeatedly diverted to minor problems in Dr. Norcross’ family, incidents that might interest us during, say, a bad thunderstorm but not during the social and economic collapse of the entire world. What’s more surprising is the novel’s grim gender politics. The Kings tell us that “hard-right conservatives on talk radio were proclaiming the Aurora virus as proof that God was angry with feminism.” We’re made to understand that that’s ridiculous, but the story doesn’t do much to supply an alternative interpretation. Despite having a female police chief, Dooling is a town under a dome, a place with little sense that we live in an era of rapidly changing attitudes about sexuality and gender roles. The novel’s theme feels just as essentialist as the spooky virus that always gets its gal. And the Lord of the Flies battle that consumes the final half of the story reinscribes every worn-out trope about peaceful, constructive women and violent, destructive men. I don’t know, either, but it’s nice to hear I’m not alone.